As smartphones have become more and more ubiquitous, researchers and the general population alike are questioning how much screen time is healthy for a developing child. Many studies have investigated the effect of screen time on children, but a new study released on Sept. 26 in The Lancet Child & Adolescent Health magazine claims to offer a more comprehensive picture of the impact of the amount of screen time on sleep, and exercise — and how it affects cognition in growing children. This study is one component of a ten-year longitudinal study called the Adolescent Brain Cognitive Development Study. The study involves tracking the cognitive development of more than 7,500 children until 2028. The data for the first 4,500 participants has been released; the study has released over 30 terabytes of data already, which has largely served as the foundation for the Lancet study. Another key reference in the study is the recommendations of the Canadian 24-Hour Movement Guidelines for Children and Youth. These guidelines were formulated by the Canadian Society for Exercise Physiology (CSEP); they advise that children exercise for at least 60 minutes a day, sleep for at least nine to eleven hours a night, and only spend a maximum of two hours looking at a screen. The 4,524 child participants who ranged from eight to eleven years of age were given six tests which assessed memory, foresight, cognitive processing speed, and language skills. The data provides support for the hypothesis that excessive screen time may harm brain development, but the study evaluates only one snapshot in time. Thus, experts advise against concluding that this is generally true until further research is completed. The authors of the study nevertheless believe the results are concerning. Only 37 percent of the children used their smart devices for less than two hours a day, only 51 percent slept uninterrupted for the recommended nine to eleven hours, and a mere 18 percent exercised for more than an hour. A full 29 percent of the children met none of the guidelines, indicating that they were on their smart devices for too long, slept for too little, and exercised too little. Only five percent met all of the guidelines. The children who met all of the guidelines scored roughly 4 percent higher on the combined tests than those who met none; likewise, children who met the guidelines for sleep and screen time scored roughly 5.1 percent higher than those who met neither of them. When taken independently, however, it appears that neither sleep nor physical activity significantly affected test results. Other covariates were taken into account which commonly have either positive or negative associations with global cognition — the positive covariates include high income, education of the parents and the child, being of white or Asian descent, and being in an advanced state of puberty, while negatively associated covariates include high body mass index and traumatic brain damage. Additionally, the study indicates that children’s screen time averages to about 3.6 hours a day, far above the recommended two hours. Although researchers cannot definitively say whether screen time or any other activity in itself lowered cognitive skills or whether one causes another, its results are still quite valuable in assessing the impact of various factors on cognition. The study also shows the value of integrative studies, since none of these factors can be assessed independently of the others; they are all thoroughly interconnected, meaning that a change in one leads to changes in the other two. Additionally, the study does not account at all for what exactly the children in the study are doing while they are on their smart devices. 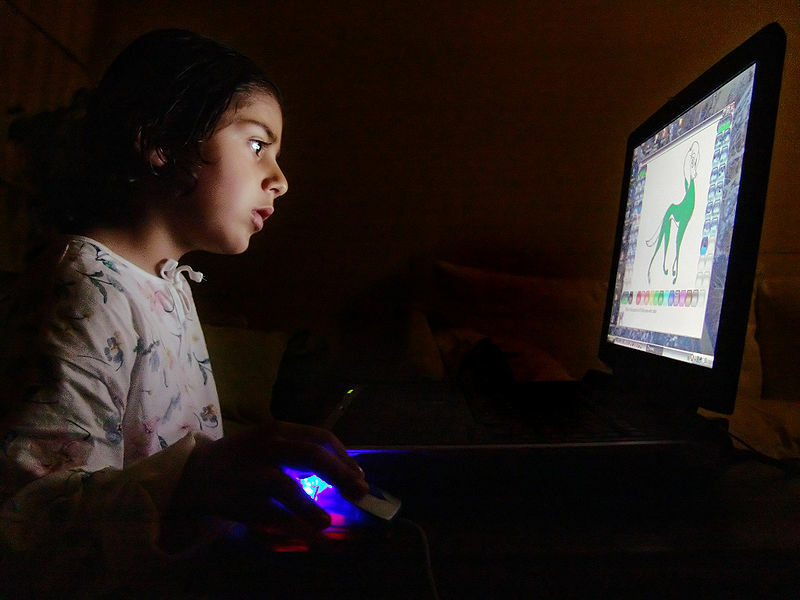 Some researchers speculate that there is likely a difference in cognitive development between a child who plays games on their computer and another who uses it for school work and that it may, therefore, be safe to allow children more screen time depending on the content.